Provence and its economic center, Marseille, one of the oldest cities in Europe, is the stereotypical French experience. Although the rolling lavender fields and Marseille soaps are clichés; you can give this charming place the attention it deserves in your Marseille motorhome rental or campervan hire. RV operators like Avis Car-Away Motorhome Rental, McRent France, Pure Motorhomes, Blu Rent and Black Sheep RV Rentals also make it easy for you to take advantage of France’s hundreds of aires de reposes or budget-friendly rest spots as you pick your way around Provence, particularly along Côte d’Azur, otherwise popular as the flamboyant French Riviera. Provence stretches from the Mediterranean to the south, the Alps about five hours to the north, the Rhone River to the west, and Italy to the east. It is quite dry and warm for most of the year, and home to the sunniest part of The Alps; making Marseille an ideal base from which to start your Provencal holiday by RV rental. Make the best of this beautiful territory by putting together your own travel itinerary. However be ready to toss all your plans if the spirit warrants it. Motorhome rental in Marseille makes the most sense if you have a joie de vivre attitude and a healthy sense of spontaneity; particularly when it comes to experiencing the Provencal gastronomy. You’ll want to visit any one of the dozens of marchés hebdomadaires, or weekly markets, to gather a delightful hamper of fresh bread, sausage, cheese, preserves, olives and a few bottles of the local favorite, rosé. Each village has its own special market day and its own local twist on the French classics. Pack this all into your Marseille motorhome hire; then head out of the city for a lazy picnic, a walk and good conversation. Once you’ve secured some delicious eats and a few trinkets from the markets; consider a day trip to The Calanques in the south of Marseille. These fjords are magical formations of limestone set against the backdrop of a sapphire-blue sea. 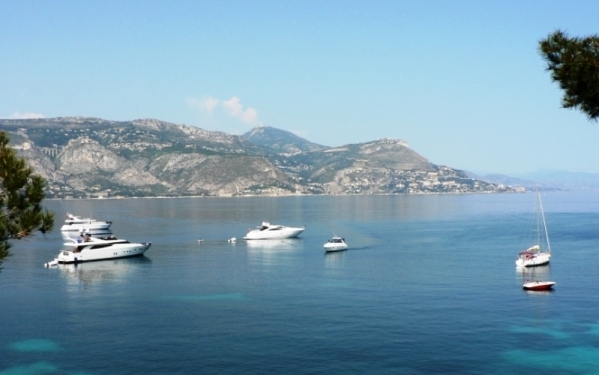 Park your Marseille motorhome rental in the historic Mediterranean port. 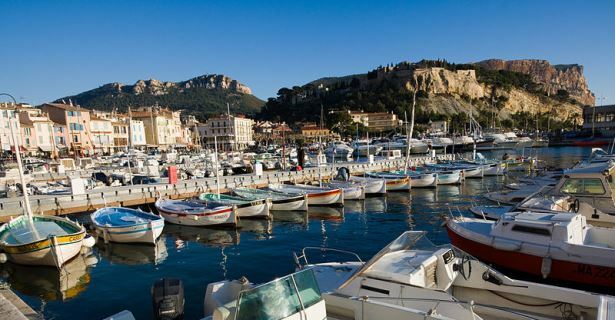 Then walk along the coast trail to Cassis, which is clearly marked and tucked in amongst stunning views. Or take your picnic and a camera to the Plan de Cuques commune further outside Marseille and go for a meander in the scenic hills. The Pont du Gard, an aqueduct from the ancient Roman Empire, will take another lazy day – better stock up on more cheese and wine! Top off your Provencal getaway with a beachfront spot of your own in St. Tropez or Nice, a little more than a couple of hours to the west by camper hire in Marseille. The former is the French Riviera’s crown jewel and a jet-set favorite, so celebrity ogling can be a rewarding pastime. The latter is a haven for romantics that flock to Côte d’Azur for a generous dose of blue waters (hence the name of the coast), brilliant sunsets and Baroque architecture. In between is Cannes, home to the prestigious film festival. Marseille is the second largest – but oldest – city in France and a truly cosmopolitan area with a history stretching back 2,600 years. If you’re tired of sun, sea and picnics, make an evening trip into Marseille for a leisurely restaurant meal; or a night under star-filled skies in Arles which inspired some of Van Gogh’s most famous works. Both Arles, and the once papal seat of Avignon, are about an hour east by camper rental in Marseille. You could also squeeze in a trip to any of the beautiful cultural buildings and landmarks such as the Chateau des Baux-de-Provence or Théâtre Antique d’Orange. Avoid the bustle for accommodation in Marseille by retiring in your Marseille motorhome rental, RV and campervan hires. You’ll have your choice of rustic and alluring campsites, most of which are well-established and full of amenities.